Among all of the excursions that you could choose to enjoy while visiting the Amalfi Coast, Capri is the most beautiful, a dream which will repeat itself in your reality. After a tranquil breakfast enjoying the early morning sun from our terrace, you will board the ferry at the pier below the hotel. This cruise operates every day with departure at 10.15 a.m. and is unique in many ways from other Capri trips that you may see. Departing from Praiano, you will begin to appreciate the beautiful day in store for you as you enjoy the scenery on the way to your first stop – Positano. While approaching Positano to pick up more passengers, remember to have your camera ready to take advantage of the unique vantage point that is presented to you. As you enjoy this beautiful view of our colorful city you can marvel at the characteristic pyramids of buildings for which Positano is famous. After a short 10 minute stop, you will disembark Positano for Capri, touring the coast of Sorrentina, past point Campenella (the end of the Gulf of Salerno and the beginning of the Gulf of Naples). After passing point Campenella you will begin to see the city of Sorrento, Mount Vesuvius, Naples and the Faraglioniof Capri. 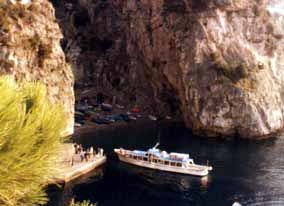 The next stop is the big harbor of Capri "Marina Grande", where small boats are ready to take those that wish to go to the magnificent Grotto for a treasured experience. What follows depends on your wishes. During your 6 hours of free time, you may choose a bus or taxi to whisk you to your destination of choice, whether sightseeing, shopping, photography or sunning, it is available to you in this paradise. Lunch at the beach or in town, visit Anacapri and other sights, shop the world class shops, siesta in the sun, or swim next to the Faraglioni. Whatever you decide it is all here. After your lovely day in paradise you will return to the "Marina Grande" for your trip back to the Onda Verde at roughly 6:00 PM. Just in time for a short rest before your satisfying dinner at the Onde Verde. Ticket fee € 50.00 - every day Excursion at Emerald Grotto, swim at Island "Li Galli" and shopping at Positano. Price per person: € 70.00 No holiday on the the Amalfi Coast would be complete without a trip to the evocative island of Capri! Meeting on the Amalfi Pier and departure by steamer for a pleasant sail to Capri. 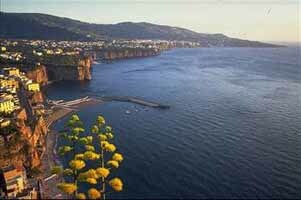 During the crossing, a breathtaking sight of our Coast from Amalfi to Campanella Cape and of the Sorrento Coast will disclose before your eyes. Landing in Capri and start of the guided tour of the island by private minibus, stop at Anacapri for the visit of Villa St Michele, built by the Swedish doctor and writer Axel Munthe on the remains of Roman ruins, offering a wonderful view of the island from its beautiful shady garden. From the Chapel St Michele’s terrace, you will enjoy a beautiful view of the sea. 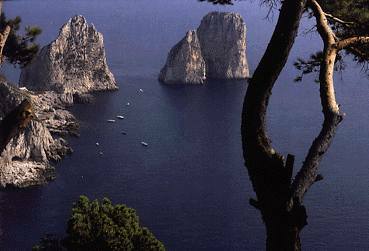 Transfer from Anacapri to Capri by private minibus. 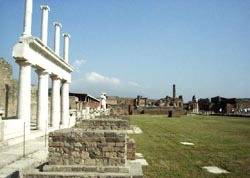 After lunch (optional), visit to the Garden of Augustus, with a wonderful view of the famous “Faraglioni”. The main square Piazza Umberto I, has a pretty white church and several open-air cafes where you can sit and watch the world drift by. Free time for shopping browsing around the elegant and exclusive island boutiques. Optional visit to the Blue Grotto to admire the beautiful colour shades in the water, on the walls and the vault. 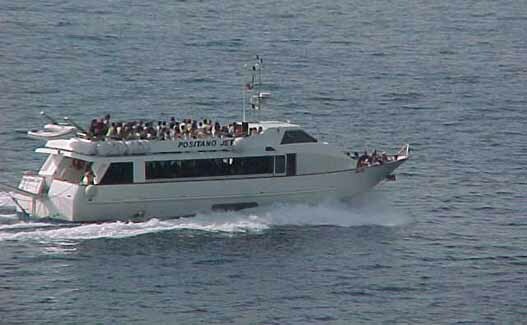 Transfer by steamer from Capri to Amalfi. Expected return 6.30 pm approx. ROME, one of the most artistic and cultural centre in the world, leaves a deep impression on all who see it. 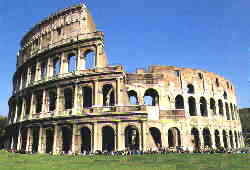 The “Eternal City” blends history, culture, art and romance to create a truly magical atmosphere. A daily trip escorted by expert guides. Departure by de-luxe coach via “Autostrada del sole”. Arrival in Rome at 12.30 approx. Free time for a light snack. Visit to the Vatican City with its monumental St. Peter’s Square, the masterpiece constructed by Bernini and the imposing Basilica, heart of the Roman Catholic Religion. Discover the city with our specialized guide! Sightseeing tour by coach: Castel St. Angelo, Villa della Farnesina, Sisto Bridge, Tiberin Island, Pyramid, Marcello Theatre, Circus Maximus, Piazza Venezia, Palatine Palace, Campidoglio, Via S. Gregorio, Costantine Arch. Visit to the Coliseum, the most important monument of the ancient Rome, where bloody battles between gladiators and against ferocious animals were once held. Continuation by coach admiring Santa Maria Maggiore, Republic Square, Via Nazionale, Quirinale Palace and Trevi Fountain where you will have free time for shopping (40 minutes approx). During the journey back dinner in Cassino. Arrival time at the hotel expected for midnight. Rome is so rich and unique in history and so much more – it’s no wonder it’s the eternal city! Important notice: In order to be allowed into St. Peter's Basilica you must have covered shoulders & long trouser. DAY AND TIME AT YOUR CHOICE! Freedom lovers: people who like exclusive and personalised service, may choose a private excursion made to suit any requirements with an exclusive guide on site. 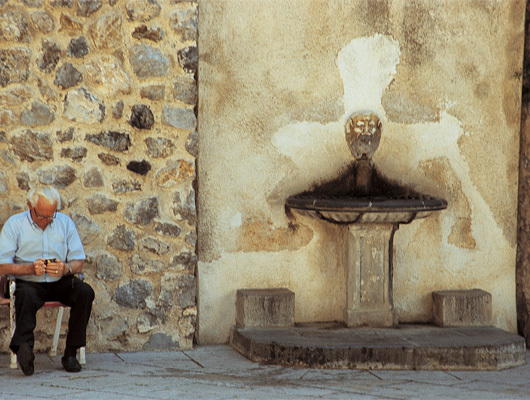 Leave at your ease for an exclusive excursion for the most impressive sites of the region. A private car with chauffer will take you to your chosen destination. Discover it with a specialized guide at your full disposal! Stop over along the coast breathtaking views, photo taking, snacks, all at easy.